All Manila homes currently listed for sale in Manila as of 04/24/2019 are shown below. You can change the search criteria at any time by pressing the 'Change Search' button below. If you have any questions or you would like more information about any Manila homes for sale or other Manila real estate, please contact us and one of our knowledgeable Manila REALTORS® would be pleased to assist you. 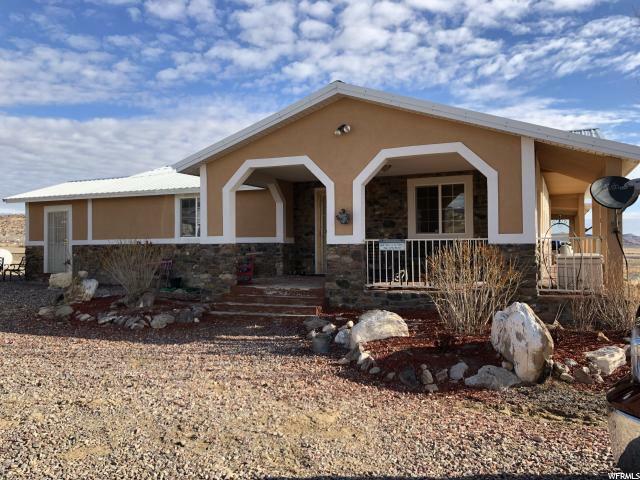 "Gorgeous Mountain home located in a secluded subd. with a breathtaking view of the Gorge, mountain and valley. Home has a rustic, cozy cabin feel, must see to appreciate its true beauty. 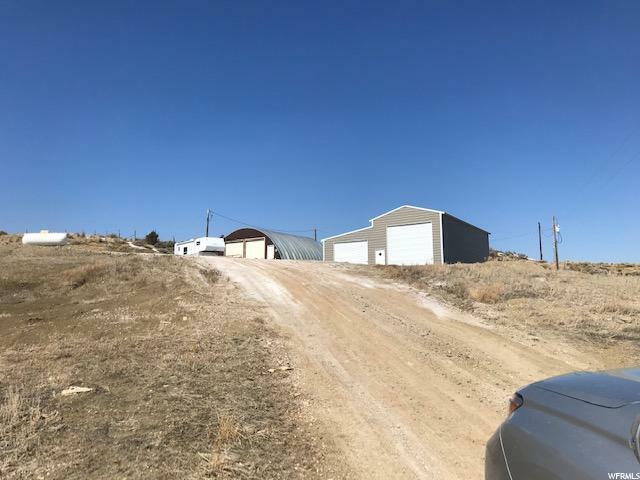 9.97 acre with, 2 fenced in pastures and a large 48' X 48' garage." 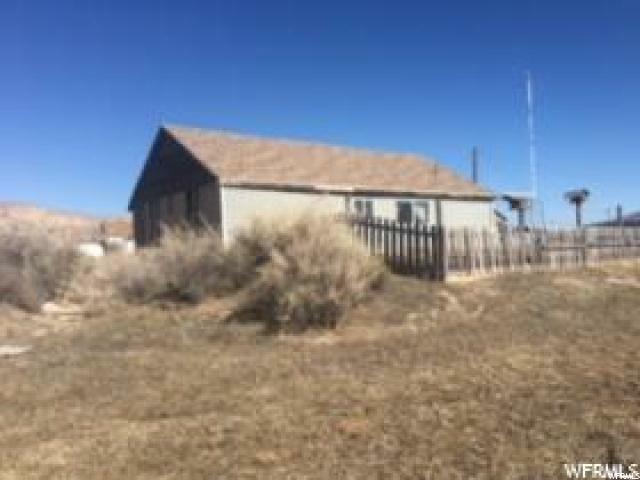 "1.20 acre in city limits on two parcel 01-009A-0012 & 0007 has secondary water, shed, 3 garages. 40' X 26' / 7' X 18' door with 2 bedroom, 3/4 bath and a great room, 60' X 35' / 2 - 12' X 12' and a 12' X 16' doors, 17' X 40' / 12' X 13' door. Garden, fruit tree's and lots of room to expand." "Beautiful home on a large .82 acre lot. 40' X 40' garage with (2) 12' X 10' doors, 24' X 30' garage with a 16' X 10' door. 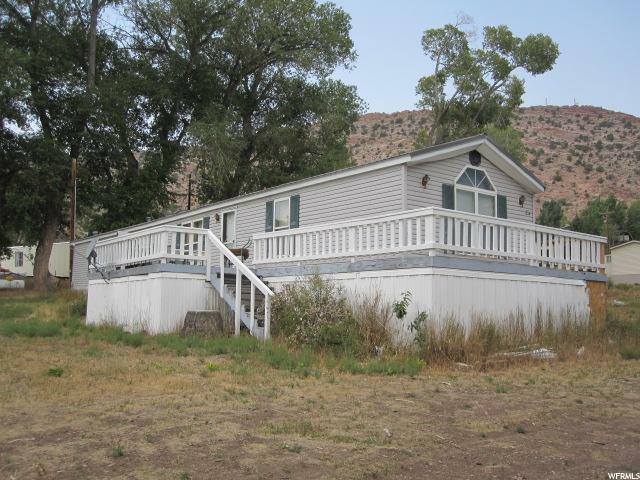 2 sheds, RV hook ups, cement patio, fully fenced and just the right amount of grass so you can spend more time enjoying the outdoors!" "Fantastic 5 bedroom, 3 bathroom home on 1.14 acres in beautiful Manila! 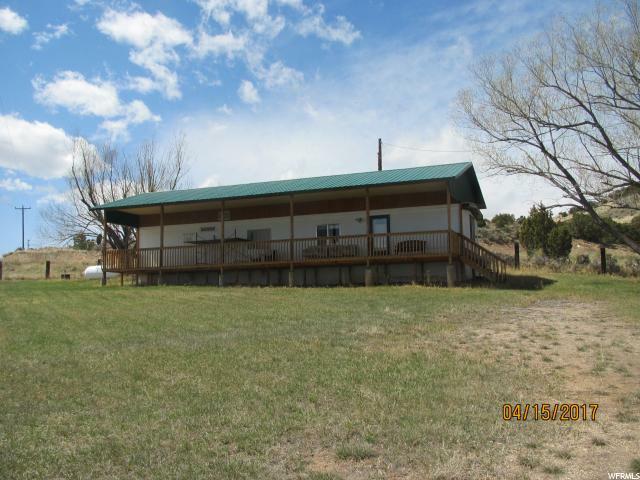 Live in a recreation paradise and live only five miles away from Flaming Gorge. Great home for a summer or second home as well. The views on this home are simply breathtaking. Incredible views all the way to the lake from both patios. Home had a central A/C installed and a brand new 2 car detached garage- as well as a huge workshop/garage with room for up to 4 additional cars. Get this one before its gone!" "This is a fisherman's dream! 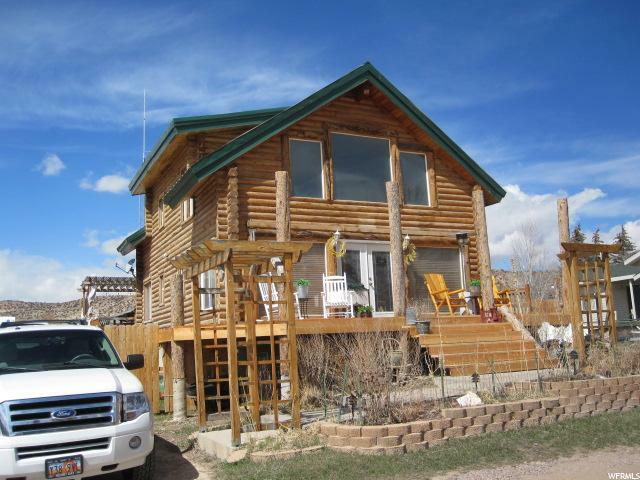 The home comes fully furnished, has a large fire pit and fish cleaning station. Two oversize garages perfect for RV's and boats. Two refrigerators and a deep freezer. Jacuzzi tub. The patio has been enclosed to create an extra bedroom or more indoor living space. New wood pellet stove. Four parcels of land to equal 1.32 acres. Amazing views and very close to Sheep Creek Boat Launch area. 2 large garages (1) 24' X 60' with a 18' X 12.5' door, (1) 30' X 36' with a 8' X 18' door." "Rare find beautiful log cabin in the town of Manila, just a few miles to the Gorge. Theater room in the basement with a gorgeous fully functional bar. Granite counters, wood floors and a wood stove. Large front deck that wraps around to a huge deck in the back, hot tub, and lots of room for a garage." "This is a combination property. One property is . 52 acres comprising the residence - with tandem garage and wood shop and the 2nd is the large 3 bay fully insulated garage with mezzanine storage on .26 acres. Sellers would like to sell together, if possible. " "PRICE REDUCED!!!!! Beautiful Two Story Home in Picturesque town of Manila! 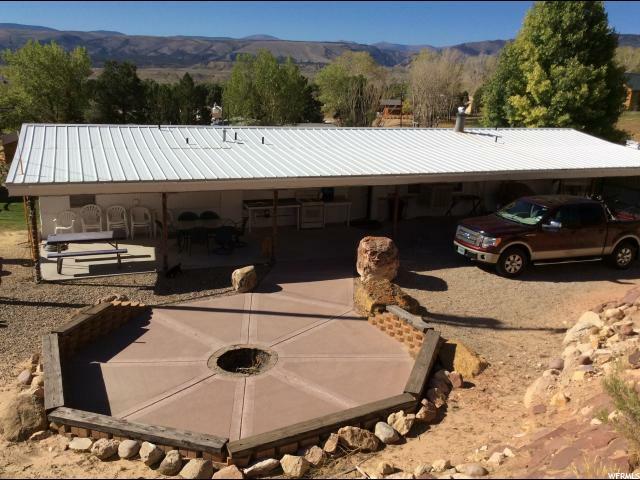 You have view of Flaming Gorge from the 2nd story of the house. 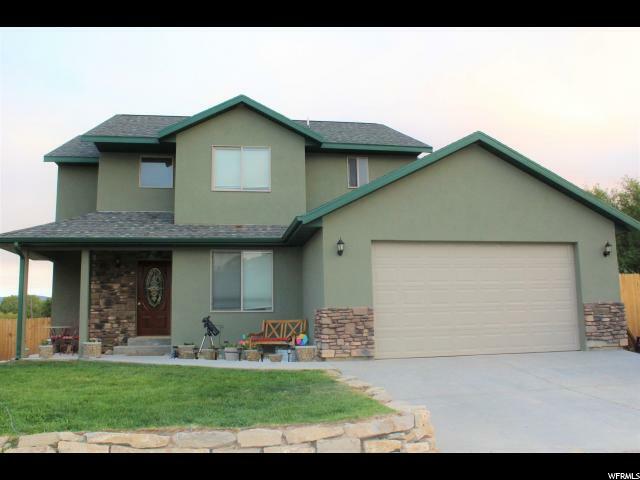 This 4 Bedroom, 2.5 bath home sits on a large .38 lot and is newly fully fenced. New paint and hardwood makes this house sparkle like it is brand new. " 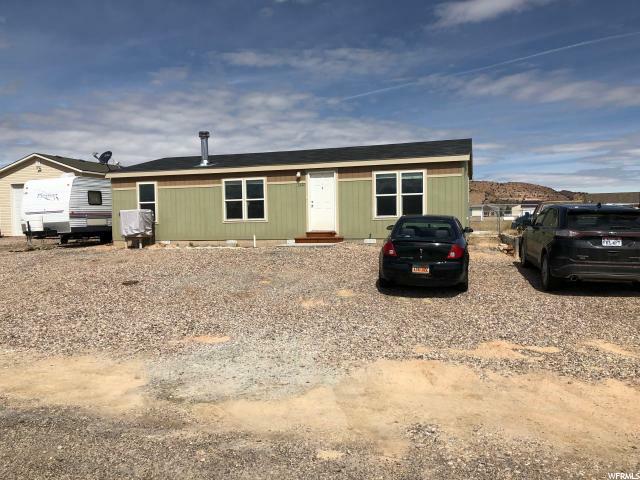 "Awesome Views of the Valley and mountains from this Newly renovated mobile home situated on 5 Acres, fully fenced , New Windows, New carpet and flooring throughout the home, Updated Kitchen w/ Knotty alder cabinets, New stucco exterior, New Front Deck, Covered rear deck, New fixtures and tile in bathrooms. Large 2 bay work shop with power & cement floor with roll up doors - Newer 2 bay large shop for boat storage or equipment with roll up doors. " "Cabin is located on a very quite corner lot in the Town of Manila, just a few minutes away from the Gorge. Large family with a wood stove, dining room and a large sun room, with lots of windows and a fireplace. Yard has lots of mature tree's, shed and a 24' X 36 garage with a 20' X 8' door. Buyer to verify all information." 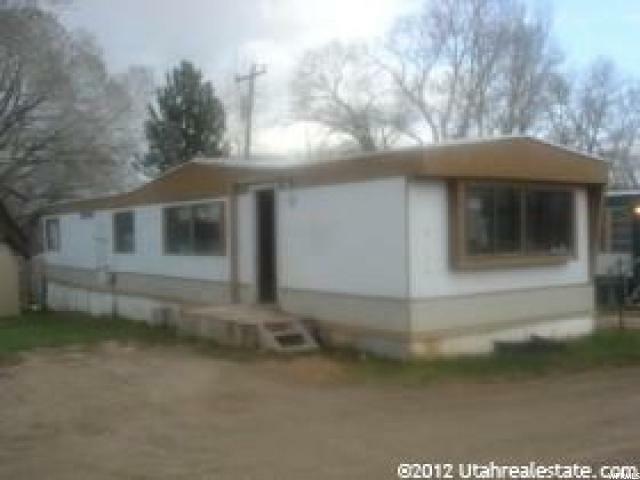 "Beautiful mobile home completely remodel, includes most of the furnishing including the boat! 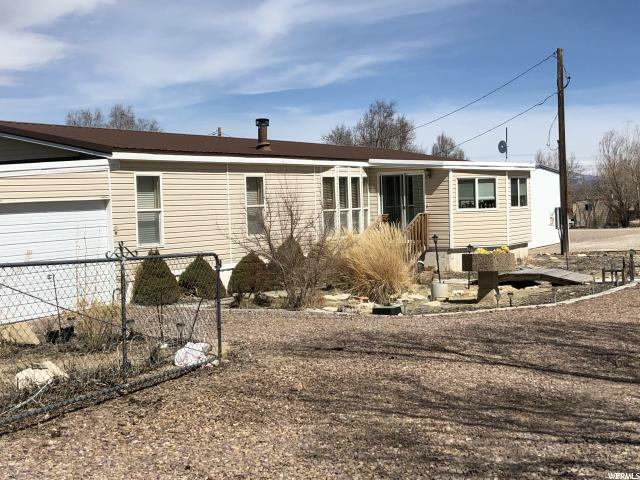 2 bedroom, 1 1/3 bathroom located in a quite cul-de-sac Property is a total of 3 lots = .83 of a acre, large 15' X 25' covered deck, 25' X 27' garage with lots of room for a bigger one. You must see this home to appreciate it true beauty." 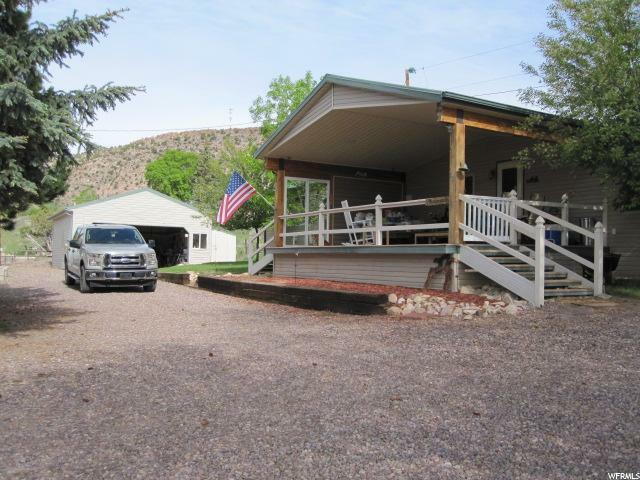 "Large lot with easy access off Hwy 43 with a great view of the mountain and valley. Older home that has been updated some with a new water heater and furnace, Home would make a great weekend getaway, with lots of room to expand. Live in resident easy to show. Buyer to verify all information." 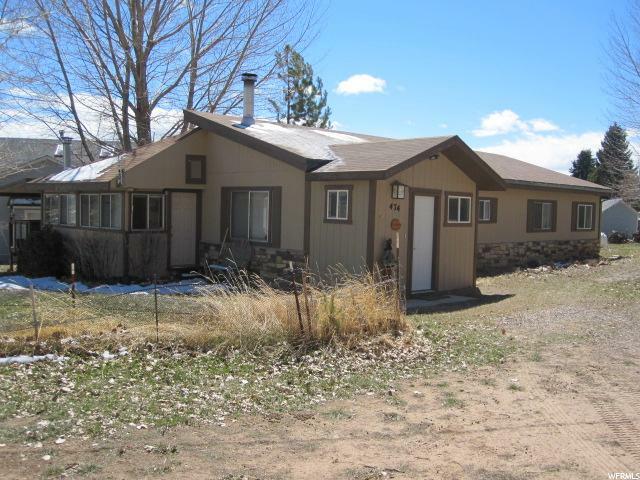 "Well maintained 3 Bd 2 ba home near boat ramps! Plenty of room for garage. Chain link back yard. RV pkg. Chimney flue installed for wood burning/pellet stove (not included) . Shed stays. A/C (swamp) is borrowed. Not included. This is a nice property! Won't last!" 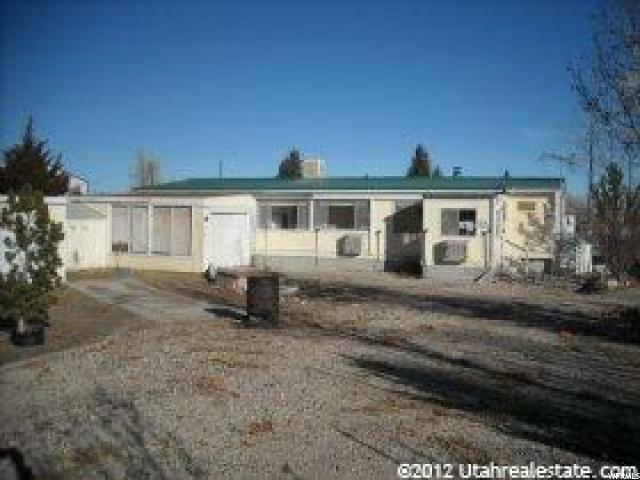 "2001 - 3 bedroom, 2 bathroom manufactured home with a large kitchen, family and dining area. 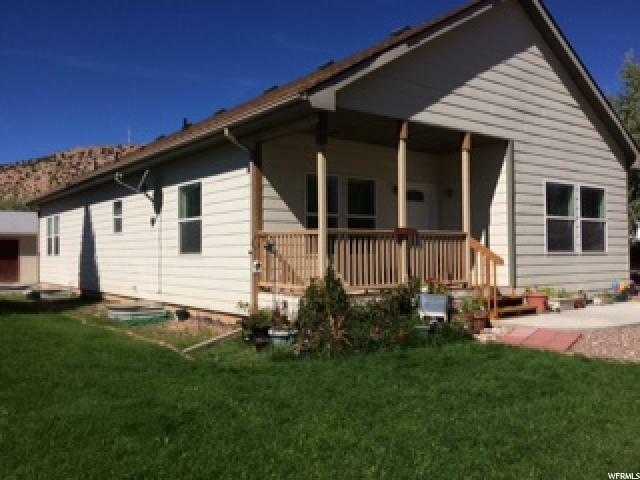 Home is on a .28 corner lot with a graveled yard, so it's low maintenance giving more time to play! 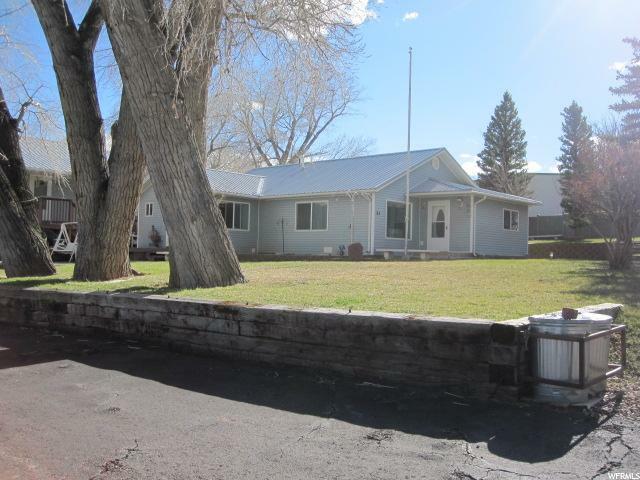 Lots of room for a large garage, located just a few miles from the lake." "!978 manufacture home, needs some TLC but will make a great weekend getaway or a stater home. New waterline throughout the home, easy to winterize. 24' X 24' garage with 2 doors. Motivated seller will consider any reasonable offers. Located just a few miles away from the Gorge!" "1996 single wide home on a .39 acre lot with secondary water rights, a rare find for Manila. Large wrap around deck, needs some tlc. Home is 3 bedroom, 2 bathroom. Lots of room to build a large garage, located in the Town of Manila, just minutes to the lake! " 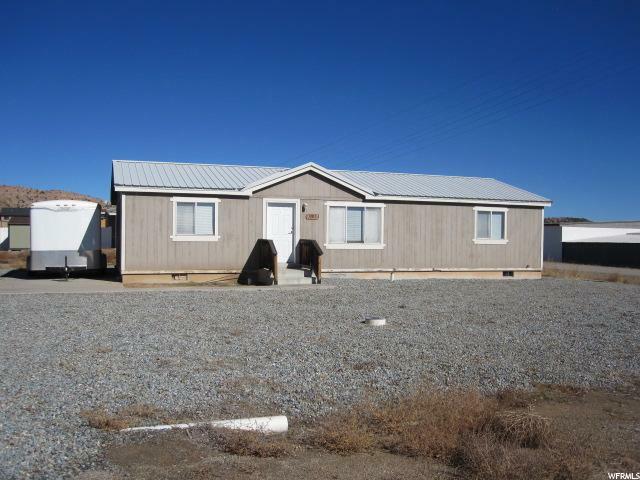 "Building and deck surrounding mobile home. Very well built. Mobile home is an open floor plan. 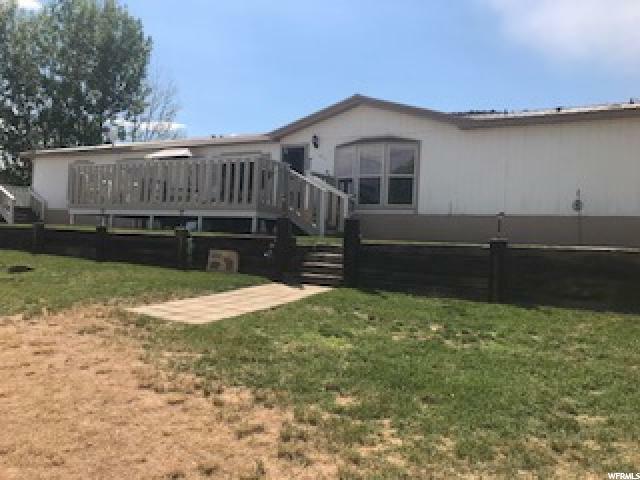 The perfect property to relax out on your deck and enjoy the lake view! OPEN Living Room/Dining Room/Kitchen area. Nice sized shed. " "TRAILERS CAN NOT BE MOVED AND HAVE A $350 LOT RENTAL FEE! There is a couple of trailer available and the price vary depending on the condition and year. If your one of the 100's of outdoors man that visit this are a year, this is a inexpensive way to stay, all trailers need tlc but you own it. Buyer to verify all information."